For educational institutes looking for one comprehensive solution to meet all audio needs, the Microflex® Wireless System is the ideal choice. This versatile platform offers a complete choice of elegant, rechargeable microphone form factors, suitable for both presentation & discussion use. With simple setup and operation, Microflex Wireless can easily be integrated into “smart” classrooms, as well as the existing IT infrastructures. 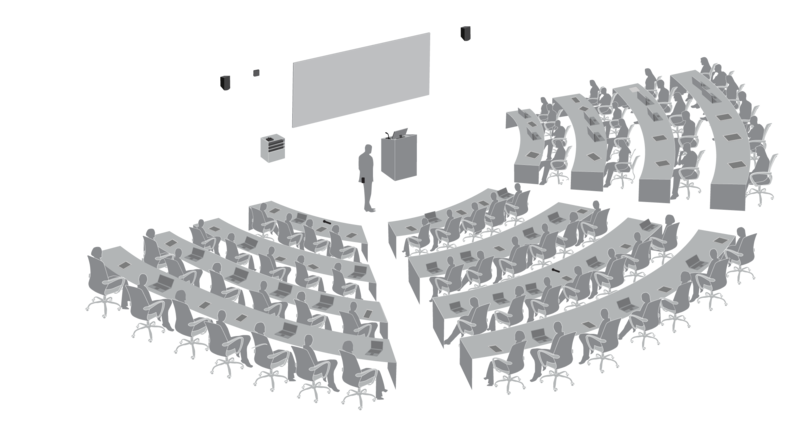 Easy to expand, the system scales from single classrooms to networked, campus-wide setups..